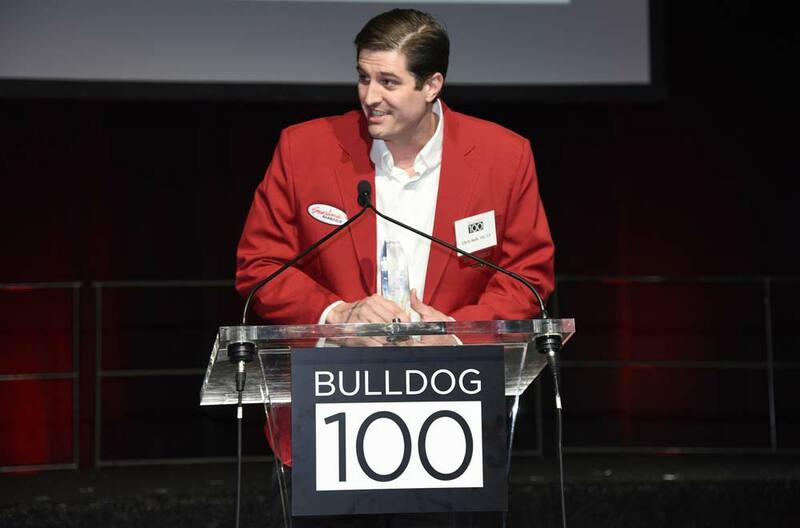 The 2019 Bulldog 100 list of fastest-growing businesses owned or operated by University of Georgia alumni spreads as far north as New York and as west as California — but a heavy majority are based in the Peach State. The UGA Alumni Association unveiled the 2019 list on Wednesday, saying more than 564 nominations were submitted. The businesses are of various sizes and from industries such as real estate, dining, technology and retail. Of the 100 businesses, 80 are located within Georgia — 27 in Atlanta. Last year’s No. 1 business, Saucehouse BBQ, returned to the list in 2019. Co-founder Christopher Belk said the 2018 honor helped Saucehouse catering with its expansion into the Atlanta area from Athens. Business applicants were measured by their compounded annual growth rate during a three-year period. The Atlanta office of Warren Averett CPAs and Advisors verified the information submitted by each company. The UGA Alumni Association plans to host an event on Jan. 26 to count down the ranked list to the No. 1 business.